I've got the Sinn new at my Air force time back in 1995. Will probably buy one for myself when I turn 30. Which leaves me time to save up. Did I tell you that I'll turn 30 in 3 friggin' years? Congrats on the badge Matt. 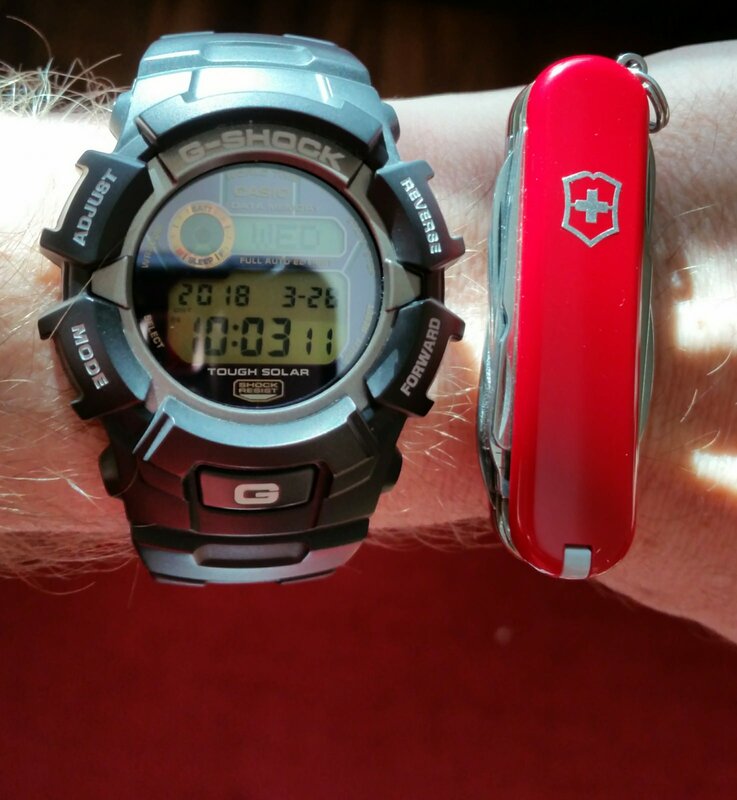 The INOX is great, I sure like mine, and the automatic is supposed to be out in May. I would like to see an Airboss chronograph in titanium, I might have to save up too! Wish I was 30 again! Be grateful! I actualy stopped collecting watches all together, but a Vic WILL be bought one day. I stopped too, seems I overdid it with the first one. Until something irresistable comes along. I have a complete watch collection of 1. Unless you have something in Vic titanium? The only Ti watch I have is on my wrist now. Those are cool Are they still being made? I heart that early models were a bit too sensitive on the touch? This is one of the early generations. I received it when I turned 18 but it was bought a year before that. Which means it was bought 10 years ago. The touch function activates after pressing the button at 3. As far as I know they are still available. Complete with box and papers and the optional Ti bracelet! He brought it in at a local dealer who has send it back to Tissot. He received a call sometime later to ask where he got it. It wasn't reported stolen but they were suspicious of he story that the dealer told them. He explained the full story. After a few days he received the news that they were going to repair the watch free of charge since it was still under waranty, but they were still puzzled by the story. So he now owns a larger T-touch (later models were bigger) for bargain price! Looks like a nice watch Nick, probably one you're keeping. I like titanium for the light weight and hypoallergenic properties, my skin reacts to some alloys. Some of those stainless watches can get heavy too, and I don't want to have to buy a Tread for a counterbalance! I appreciate you knowledgable guys, I am a complete newb when it comes to watches, but I'm learning! They are relatively cheap, serviceable, findable and were interesting me since my childhood. It does look like it could get quite expensive! Your watch is a keeper for sure. Congrats on the merit badge . . . 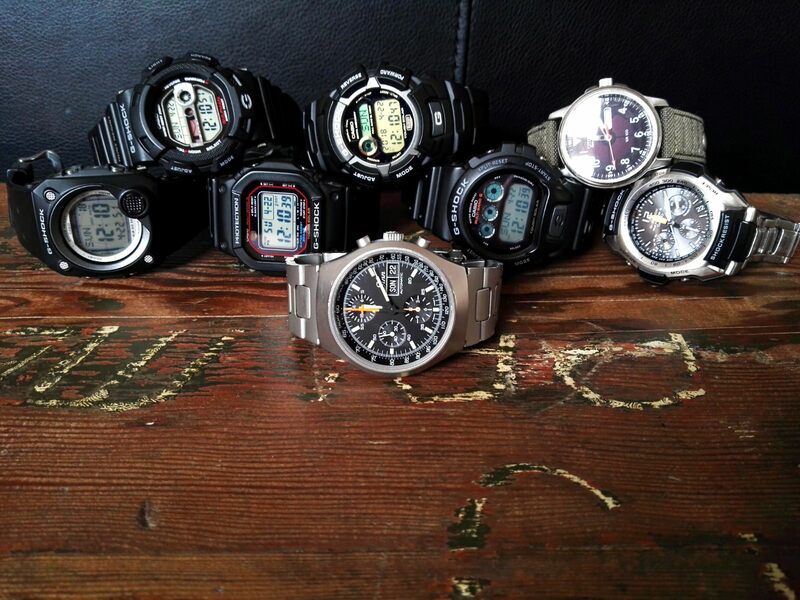 Accumulating watches, mechanical in particular, can get expensive. I've basically stopped. The Vic is the first one in a long time. 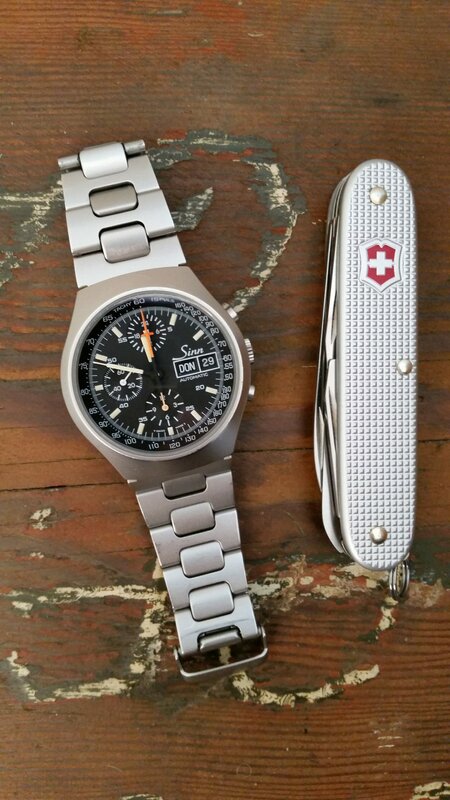 The only reason I looked at this thread at all really is that the Sinn is the pic for it on my phone! I also got in a little too far a few years ago and am glad that I was able to catch myself before it was too late. I realized after using the Apple Watch for a little bit that it is really the only option for me when working and I am always working! I actually rarely miss calls,emails and Texts since using the Apple and this is more important for me than anything else overall. I also feel like I am being electrocuted every time the phone vibrates and you just can not put a price on that?